Need shutters in Columbia, MD? You’ve come to the right place! Perfect Fit Custom Shutters is locally owned and operated and we’ve been producing and installing exceptional shutters to residents of Columbia for more than 10 years. We specialize in custom interior and exterior shutters. We manufacture many different types of shutters right here in our local factory—from custom wood shutters to Thermalite shutters; from interior shutters to exterior shutters; from plantation shutters to board and batten shutters—we work with them all! Whether you’ve just broken a shutter and are in need of a custom-fabricated shutter to match the rest, or you’re looking for something to elevate the aesthetic allure of your home, give us a call. We can help! Plantation Shutters are extremely popular in Columbia. Of all of the different types of shutters we manufacture and install, Plantation Shutters are perhaps the most commonly requested product. The typical Plantation Shutter is constructed with a 2.5, 3, 3.5, or 4.5 inch movable louver. Louvers are the slats contained within the Plantation Shutter panel. Horizontal louvers are, by far, the most common type found on Plantation Shutters. Often the size of the louver is selected based on the size of the window. Plantation Shutters are a very versatile window covering. In areas of Columbia where the homes are tightly placed, closing the louvers on a Plantation Shutter offers complete privacy. Rotate the louvers open and you get complete sunlight and a partially opened louver allows a great mix of sunlight, privacy and protection for your carpet and furniture from the direct rays of the sun. At Perfect Fit Custom Shutters, we manufacture our Plantation Shutters locally. Plantation Shutters work in almost any room or environment – from bathrooms to bedrooms; from dining rooms to family rooms; and everywhere in between. Over the years, we’ve done some amazing custom Plantation Shutters in the Columbia, MD area. We know that when it comes to buying shutters for your home in Columbia, you have many choices. At Perfect Fit Custom Shutters, we take great pride in providing you with an exceptional experience – from your first call through the installation of the finished product. 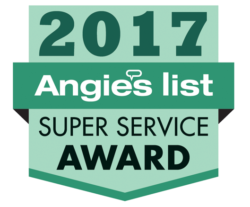 We’ve been in business since 1989 and we’re an Angie’s List Super Service Company. We were recognized for achieving and maintaining a superior service rating on Angie’s List throughout the past year. Contact us today and see for yourself why many consider us to be the “go-to” company for top quality shutters in Columbia!